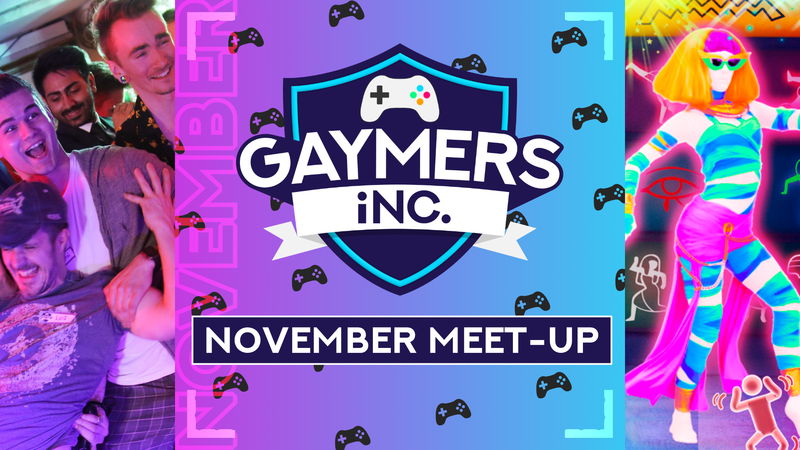 November meet-up - Gaymers iNC.
Join us at The Old School Yard in Borough for our big monthly meet-up! We’ve got plenty of games for newbies and seasoned gamers alike. We’ve got retro corner , the monthly tournament  and plenty of multiplayer games such as Mario Kart to let your competitive streak loose. Tickets available from Wednesday 14 November at 7pm with a second batch released on Wednesday 21 November at 8am. Happy Hour runs from 6-8pm during which you can get two Becks for £5  or a cocktail for £4.50 . There are plenty of food places around London Bridge station, as well as Tesco, Sainsbury and a chip shop near the venue on Long Lane. Bar has a minimum spend of £10. There are cash machines right outside both Tesco and Sainsbury. There’s no need to worry about coming alone, people are very friendly at our events . On entry we’ll give you a sticker to help you find other newbies , and we put on a Newbie Corner especially for you downstairs until 9pm. When you arrive we’ll scan your ticket and give you a name sticker. Then you’re free to explore! There are lots of consoles set up throughout the venue, there’s a bar if you want to get a drink, and the admins are always on hand to introduce you to new people if you’re shy. There are bar snacks at The Old School Yard. For something more substantial there is a Sainsbury, Tesco Express and chip shop on the same street. Yes, you can store cloaks, coats and capes in the cloakroom for £1 per item. Please do not store valuables in the cloakroom. Items are left at your own risk. The main level of The Old School Yard is wheelchair accessible. We also have some games in the basement, which has no step-free access. However, we can move the consoles around to make sure everybody can play the games they want. There is no wheelchair accessible bathroom. If you have any questions or requirements please contact us so we can help. Why do I need a ticket for this event? To meet the occupancy limit of the venue we issue tickets for this event. Gaymers iNC. is a non-profit group and we reinvest everything in new games, consoles and throwing great events.